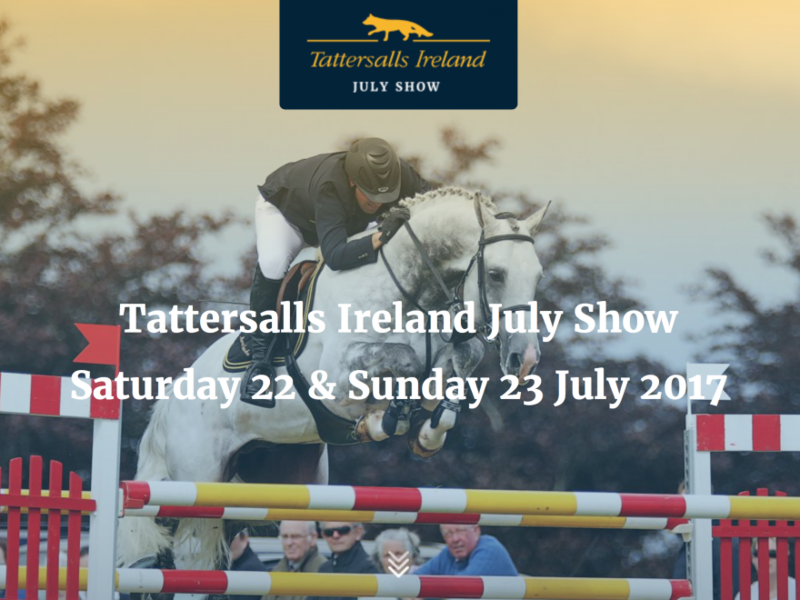 The Tattersalls Ireland July Show in association with the Rolestown Show and the Ward Union Hunt has launched a new look website to coincide with the show next weekend, Saturday 22 and Sunday 23 July 2017. The show, which features a host of 2018 Royal International Show Qualifiers in the Hunter classes, also holds qualifiers for the Irish Draught Performance, All Ireland Two-Year-Old Filly, All Ireland Two-Year-Old Colt/Gelding and the All Ireland Three-Year-Old Filly Championships. Exciting new additions for 2017 include the Dubarry Burghley Young Event Horse Series Qualifier, the only one to be held on Irish soil and the Final of the IHWT Retired Racehorse Show Series; both taking place on Saturday. On the showjumping field, there is a wide selection of classes over the two days, the highlight being the Friends of Rolestown National Grand Prix with a value of €5,000 on Saturday and the TRM/Horseware New Heights Champion Series Grand Prix worth €10,000 concluding the show on Sunday. There is a variety of family entertainment at the show including bouncy castles, penalty shoot-out and face painting. On Saturday evening, a special offer for a steak sandwich and a glass of wine for €10 is available and all proceeds will go to St Francis Hospice, Tattersalls Ireland July Show’s Official Charity. Admission to the show is free and donations to St Francis Hospice at the gate are greatly appreciated.